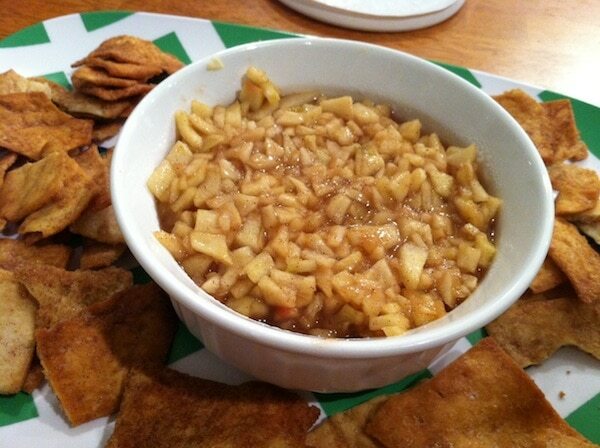 My friend Cheryl made this fantastic Apple Pie Dip recipe that she snagged off of Pinterest (of course lol). She didn’t bake the chips like the below recipe suggests. Instead, she ripped open a bag of Stacy’s Cinnamon pita chips. If you are looking for a Fall recipe that revolves around apples – this is it! For the recipe, you have to visit the original creator of the recipe. Have to give ‘The Peach Kitchen’ lots of love! !